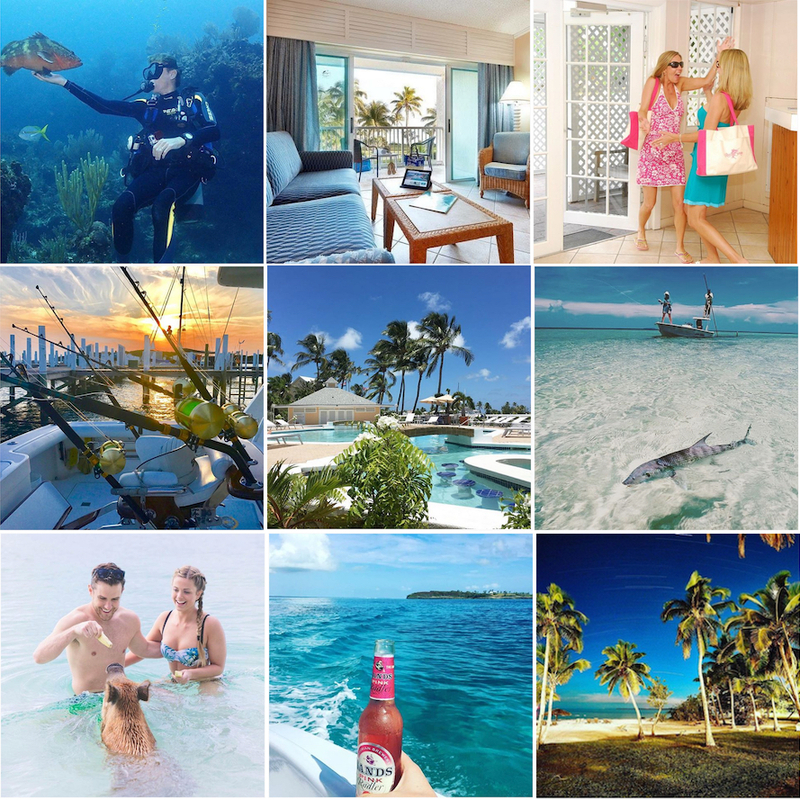 When Susan Phipps and Paula Prendergast decided to have a girls’ weekend getaway from Florida to Abaco Beach Resort one of the top activities on their ‘must-do’ list was to see the swimming pigs of Abaco. 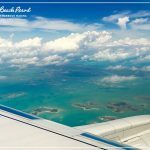 The Bahamas is known the world over for our swimming pigs and here in The Abacos we have our very own family of feral, friendly, island-dwelling, water-loving, swimming pigs! 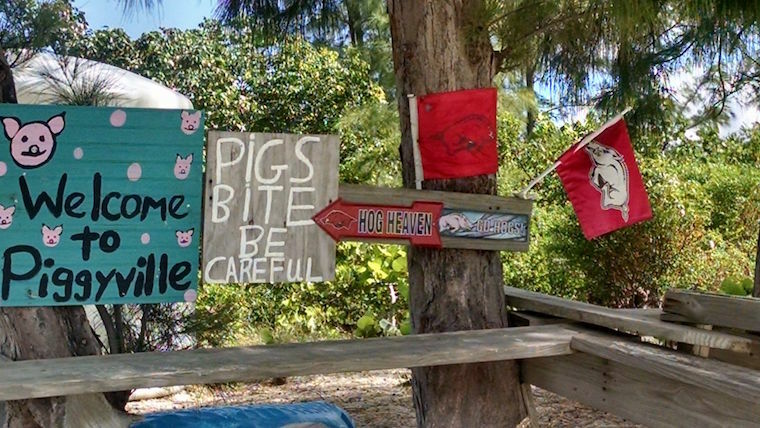 They live on No Name Cay in a place lovingly dubbed Piggyville so our concierge service here at Abaco Beach Resort set Susan and Paula up with their very own boat charter to go and see the famous pigs. 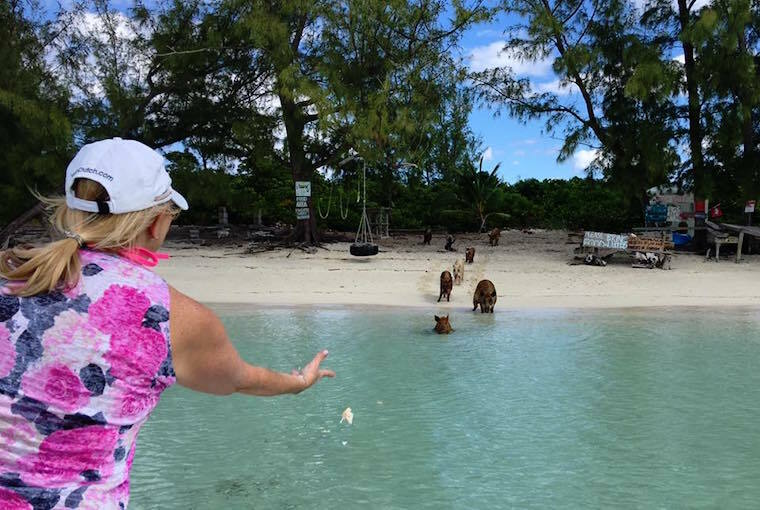 Abaco’s swimming pigs live freely on their own cay and over time have learned how to be extra adorable for passing tourists. 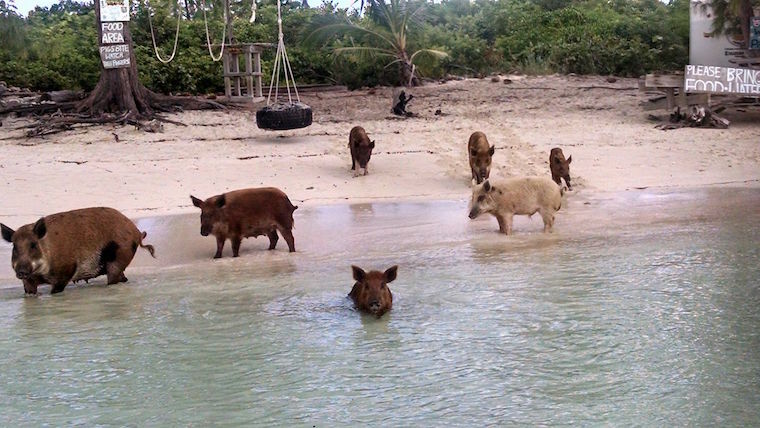 Local lore claims that the pigs swam to shore after a shipwreck way back when and have been living in Piggyville on No Name Cay ever since. 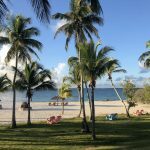 Because of the great community of Bahamians and tourists that we have here in the Out Islands, the pigs have a good life with a plentiful supply of fresh water, fruits, and vegetables to survive (and thrive!) 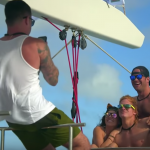 off of. 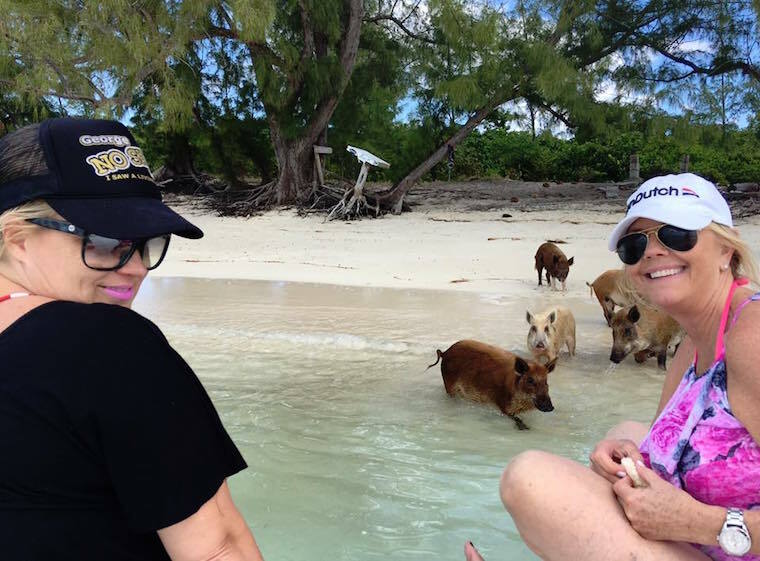 Many thanks to Susan and Paula for sending their photos of the swimming pigs of Abaco to us. 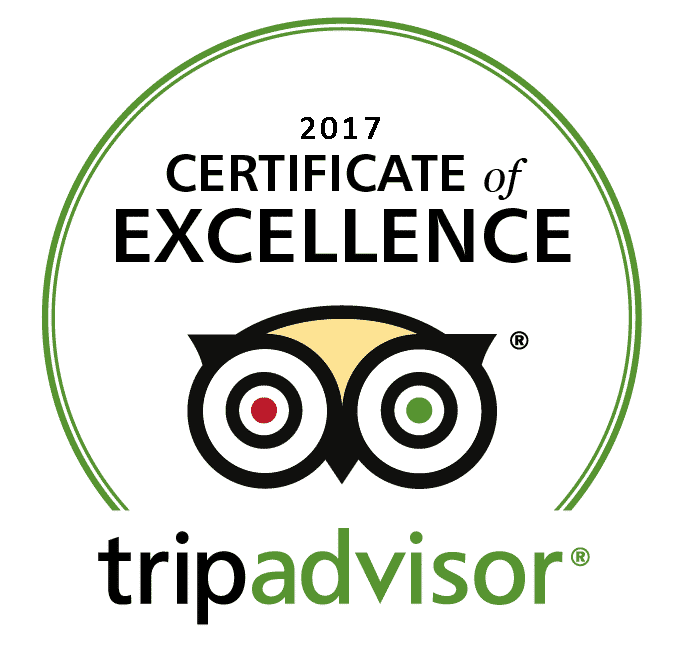 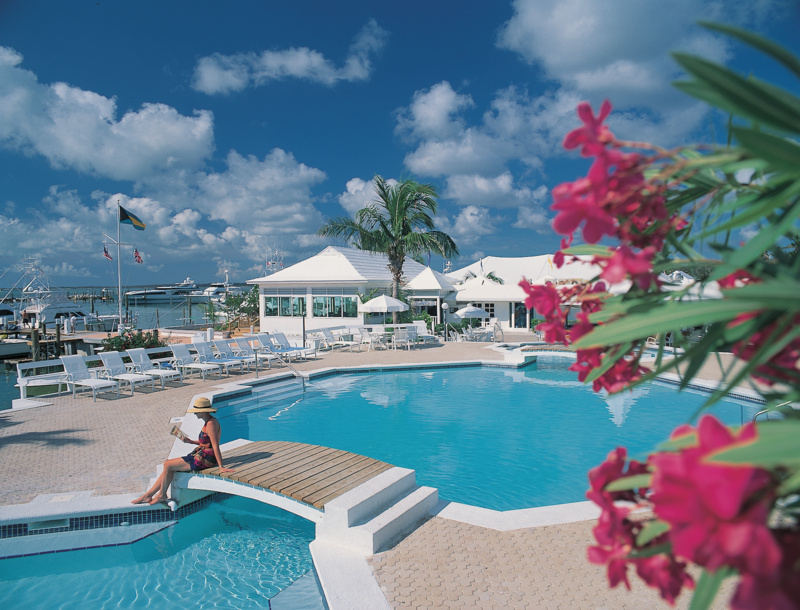 If you had an amazing vacation moment here at Abaco Beach Resort please feel free to share it by emailing social@abacobeachresort.com!